Before you get in too deep, you’ll want to have these questions in-hand to make the most informed buying decision for your home. I mean, what security system components do you really need? How much should you expect to pay for an alarm system? What does installation involve and how complicated is it? I’m sure these are some of the questions running through your head – they were for me. Here’s a rundown of the questions you should ask before you buy. I have also put together the answers to help you choose the best home alarm system for you. So Which is the Best Home Alarm System? Mobile apps provide remote access your alarm and home automation. What’s the difference between a home alarm and home security? As far as the industry’s concerned, not much. Technically speaking, a burglar alarm consists of just the skeleton sensors necessary to detect an intrusion (doors, windows, and motions/glassbreak) and notify the homeowner with an audible noise. An alarm system extends this to also include fire and smoke detectors. Taking it a bit further, a home security system also includes monitoring by a central station, home security cameras, remote control via your smartphone, and home automation options such as automated lighting, thermostats and door locks. With all the tech options today, you probably want to choose this more comprehensive security system to best meet your needs that can include full home automation. A self-monitored home alarm system includes an extensive set of sensors including carbon monoxide, freeze and water sensors. For example, Alert U Now offers a popular self-monitored home alarm system. A full-fledged home security system is monitored by a central station and can be upgraded with all the bells and whistles, including home security cameras. It typically requires a 3-5 year agreement and starts at approximately $29.99 per month plus installation fees from $99 and up (but if you ask nicely, they might just offer free equipment and installation). Call Now for special pricing 855-925-3788. 3. Is there an installation/set up involved? For most home alarm options, yes. Most of the national security system companies have professional install options available including Alert U Now. Only home security systems that include a monthly monitoring packages have contracts unless you pay upfront like some online DIY offerings. Contracts vary based on your needs, but longer contracts generally mean better prices, so be sure to ask about discounts on longer term contracts. Make sure to read your contract carefully before you sign to double-check that you’re not getting hit with any extra costs or hidden fees. 5. Do I need a phone line? Not anymore. Older alarm systems that relied on phone lines were vulnerable to cord cutting by thieves, especially on older homes where the phone lines are exposed. In fact, most companies don’t offer landline monitoring these days. Modern systems, including those you can get from Alert U Now, offer broadband (internet) and cellular options which are much more secure. Be sure to check with your neighbors, our website www.alertunow.com and also reviews on your local Better Business Bureau. 7. What happens if I’m broken into? With a professionally monitored home security system, a representative from the central monitoring station will contact you through the keypad (2 way voice) with our state of the art fastest response in the industry. If the alarm company can’t reach you, they will quickly dispatch local fire, ambulance, and law enforcement to your home to prevent harm or damage. 8. So which is the best home alarm system? 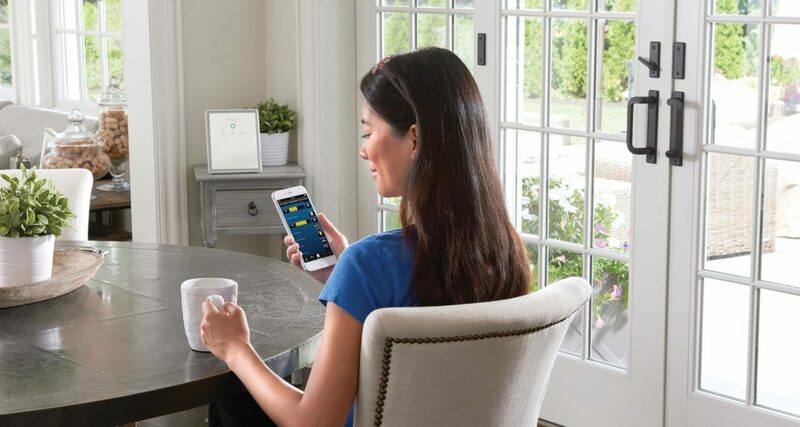 Alert U Now offers 100% dedicated cellular connection, the best customer service record of all the companies we reviewed, and patented crash and smash protection that signals the monitoring station when a break-in is detected. Call now for a free doorbell camera with the start of a new alarm agreement.